European immigration in the mid 1800s brought several families of Austrian and German descent to High Hill. They were looking for religious freedom and opportunities in the New World. The High Hill community began when three settlements (Blum Hill, Wursten and Oldenburg) were combined into one in 1858. Father Gury came from Frelsburg to celebrate mass with the Catholics in High Hill, and the first mass was celebrated in 1861 in the Andreas Billimek home. The name High Hill came about when someone suggested they choose a "high hill" type of name to remind them of the mountains they left behind in Germany and Austria. The St. Mary parish played a significant role in the development of the German and Catholic heritage of Texas. The Catholic State League was formed here, and many of the church's clergy and leadership were raised in High Hill. 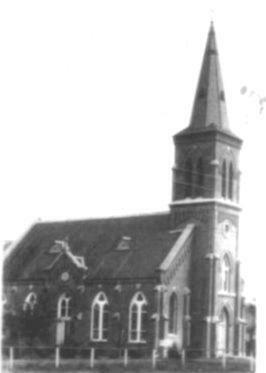 The first St. Mary church was built in 1869. A larger church was built in 1876, and the original building was used as a school. This newer church featured stained-glass windows donated by the people of the parish. When the present-day church was built, these beautiful original stained-glass windows were moved to the new and larger building, which was constructed in 1906 and painted in 1912. The current church is known as "Queen of the Painted Churches" and is listed in the National Registry of Historic Places. Industrialization allowed the community of High Hill to grow. They had saw mills, blacksmith shops and a post office, but cotton farming was the primary way of life for most landowners in High Hill. The residents did not want a railroad built through their community; therefore, High Hill continues to be a small community to this day. 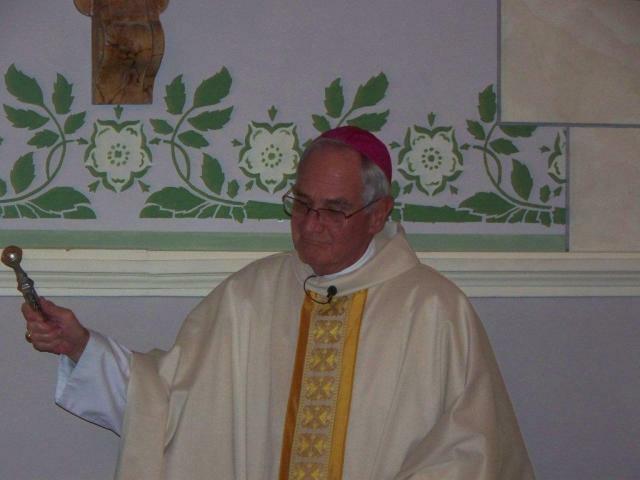 Bishop David Fellhauer celebrated mass at St. Mary on Sunday, Jan. 9, 2011, in honor of our 150th anniversary. He blessed the conservation/restoration work, as well as the newly remodeled rectory. Following the mass and blessings, parishioners shared a meal together in the parish hall. May the Lord continue to bless our Parish! Thanks to Kathy Kutac for sharing her pictures from this special event.